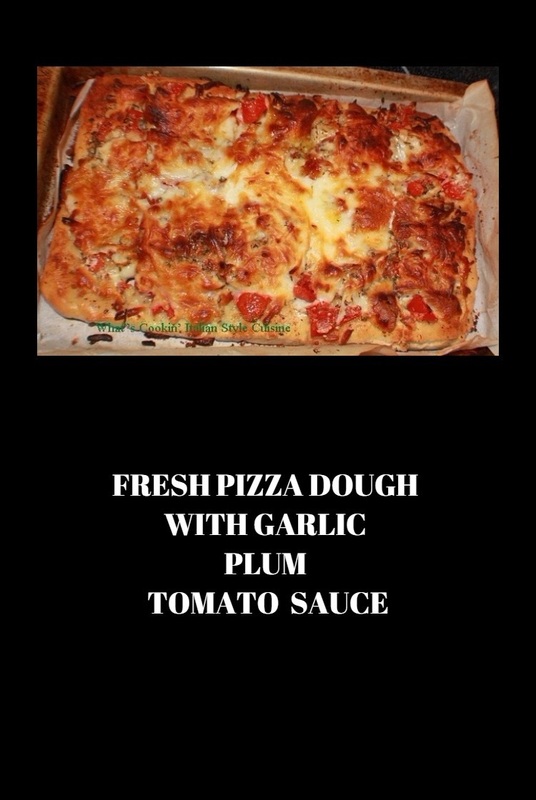 A garlic pizza with plum tomatoes and lots of cheese a perfect crispy pizza with whole milk mozzarella! Spread dough out on a large pizza pan (I lightly oil spray parchment paper and spread the dough on it). Rise a half hour or until doubled in a warm spot. Preheat oven to 400 degrees and bake the crust for 10 to 15 minutes. Take out, drizzle olive oil on the bottom and top of crust. Spread a few teaspoons of marinara sauce spread thinly over the crust. Place thin sliced plum tomatoes on crust and sprinkle the entire pie with the mixture of minced garlic. Sprinkle herbs and spices to your taste evenly over the pie. 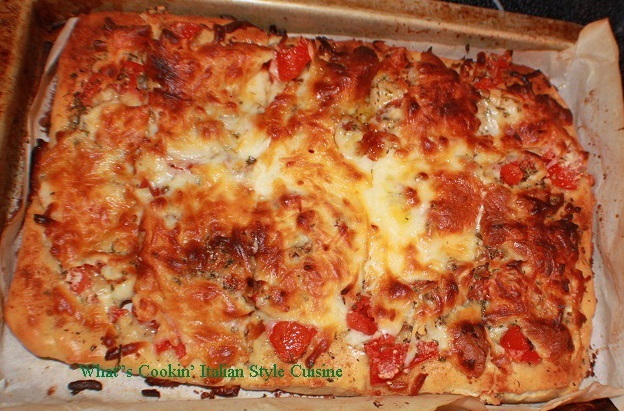 Sprinkle evenly with grating cheese and generously with mozzarella cheese. Bake at 400 degrees until melted browned and crispy. Gorgeous! With a large plate of salad, this will definitely make a perfect lunch for me. If my Mr. Rosemary could eat pizza every night, he'd be happy. Although he says he's never really met a pizza he didn't like, he's pretty picky in my book! But since I started using your pizza dough recipe (is bread flour the key?) and using good cheese, well, he says it's better! Thanks, Claudia. Mmm. Pizza is never wrong. Love it. Oh my gosh I want this right now! This has my mouth watering…so delicious looking!